In March of 1921, journalist Kostas Faltaits arrived in Asia Minor (today’s Turkey) sent by newspaper Embros to cover Greece’s movements in the Greco-Turkish War. By the time he arrived in the region of Nicomedia (today’s Izmit) - a region inhabited by a large number of Greek, Armenian and Circassian communities - Kemalist forces had set fire to many of the villages, leaving behind a trail of death and destruction. Faltaits came face to face with the fleeing survivors of these massacres, and was able to collect these valuable and graphic eye-witness testimonies which were published in both Greek and French at the time. 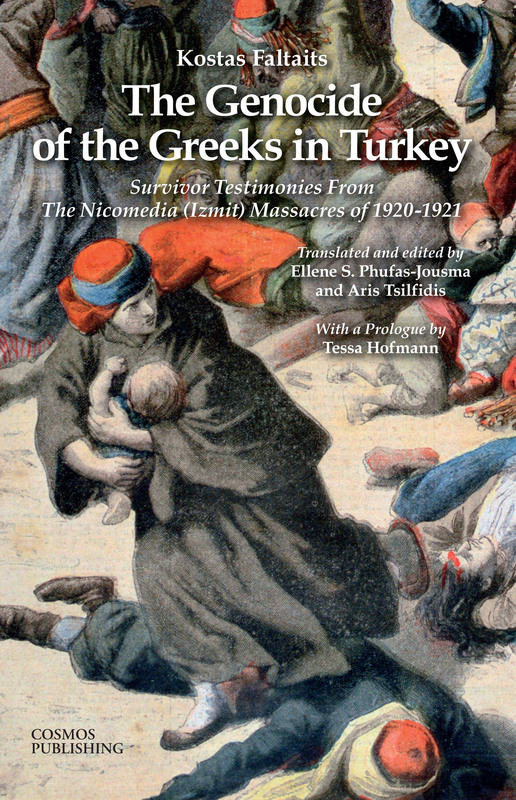 Translated for the very first time in English and with a prologue by Tessa Hofmann, this edition will shed some light into just one of the many chapters of the Greek Genocide, a genocide which claimed the life of approximately one million Greeks living in the former Ottoman Empire.